The quiet anticipation of awaiting the arrival of bub is so precious. I’m feeling increasingly uncomfortable and heavy. I can understand why the body gets to the stage where it is not practical or comfortable to hold a baby in any longer. However, I am also sitting in the moment where bub and I share that special space that only a mother and child can have. It’s also a time where hubby and I reflect that life will probably never be the same again as a couple versus with a baby. We anticipate that regardless of how difficult it is, no one can fully prepared us for what will follow. Sleepless nights, dealing with bodily fluids, never having that flexibility that we are used to, costs, focused change.. oh what else have I missed? everything probably! I have always spoken how marriage is a bond and this baby will bond us even more together. It will be a test for sure. Getting increasingly tired means dinner preparation is slowing down too. Free range chicken drumettes were on sale at our local supermarket recently and we bought 3 kg of it! Lucky we have a big freezer now for bulk buys like this. 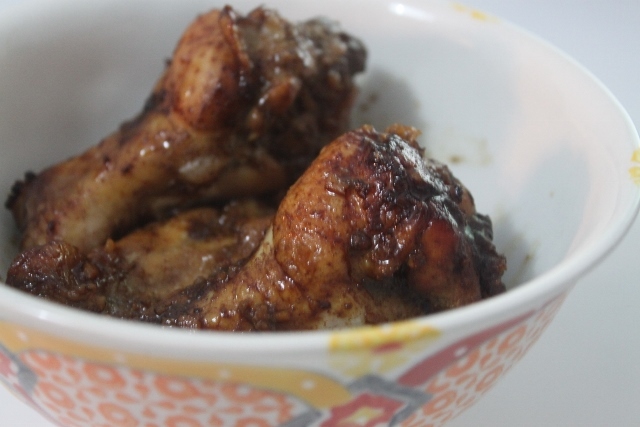 I decided to marinate it the way my grandmother used to do it for me when I headed out for bbqs with friends as a teenager and stuck it in the oven to bake. The result was a no fuss but delicious quick dinner. 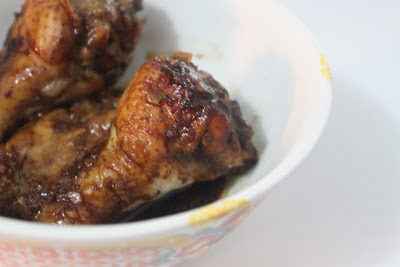 Marinate chicken with all ingredients overnight or for 2 hours. Pre heat oven to 180C and bake chicken for 40 minutes or so. This entry was posted in Asian Adventures, Chinese, Pregnancy, Quick and Easy.